Still playing it safe? Afraid to take that leap? 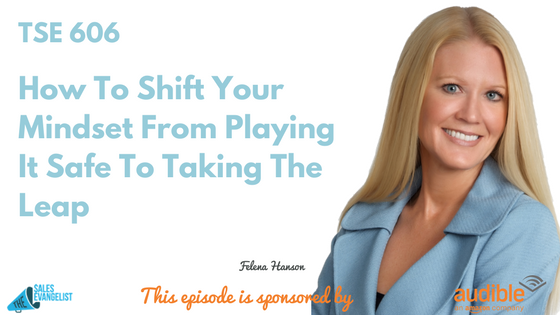 Our guest today is Felena Hanson and she shares with us how she got inspired to start her business and she teaches us how you can essentially shift that mindset from playing it safe to taking the leap. Felena Hanson is an entrepreneur, a marketing maven, and an author. She is the CEO of Hera Hub, a spa-inspired shared workspace and business accelerator designed for female entrepreneurs. With headquarters in San Diego, Hera Hub is spread across the globe and they’re continuing to expand. Her book, Flight Club: Rebel, Reinvent, and Thrive: How to Launch Your Dream Business. This is what we’ve been taught growing up. We’ve been conditioned to play it safe. But times have changed now. You have to control your own destiny. People are afraid and they feel like you have to go right off to the sunset by yourself. People say in the next three years, half the knowledge-based workforce will be independent. So you need to think and act like an entrepreneur. Surround yourself with the right people. Find that support. Reach out to like-minded folks who are at the same stage as you and become a student. Ask questions. 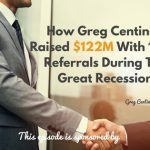 This is why joining a coworking space or a business accelerator is so critical. Is a Coworking Space Expensive? Felena explains launching a business and failing is much more expensive than investing a couple hundred dollars in a workspace. Finding support and resources is so critical. Don’t shortchange yourself in so many ways by not stepping into that. Steps to Startup – a platform that walks the entrepreneur through the 17 foundational steps to launch their business through multiple live workshops and more. You may have a good idea but are people willing to hand you money for that idea. Talk to people. Go out and do a lot of primary research. Talk to your target customer. Obviously, people love the idea of coming up with ideas but the actual execution of things is another story. Execution is what matters. This is around the operation side of the business such as bookkeeping, record-keeping, insurance, and quarterly taxes. What you find on the internet can be overwhelming and there is a sequence to those. Felena’s platform is built to simplify the process so you can take care of these things. It’s never going to be perfect. Your website is never going to be perfect or your business plan is never going to be perfect. But just get it out there and be okay with that. 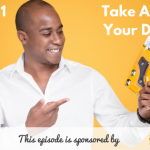 Many have fallen in love with this idea of launching a business but they actually never really launch so you have to be okay to get it out there. You will never have it all figured out. Be okay with figuring out as you go and being scrappy. A lot of people have this shiny object syndrome and if you don’t follow through with at least one or two ideas, you’re never really going to make it. Felena has been running her marketing strategy company out of her house for nearly eight years and had built a community and been involved in launching and growing a couple of professional women’s organizations. But she was struggling with lack of creativity in her business and the isolation of running the day-to-day of her business while running all the other events and workshops helping other people launch their business. She hosted an event in San Diego in 2010, which was the only coworking space at that time with hip and cool design, concrete floors and beer kegs and ping-pong tables but shortly realized it wasn’t really her tribe. Seeing a lot of these coworking spaces were geared towards the tech demographics, she wanted a softer environment to work in and to create a space where women could come and truly support one another and change the tone of business from a competitive model to a collaborative model. As a result, Felena built her first space in 2011 and two additional locations in the next two years. Felena is looking at this trajectory of impacting other industries and grow other locations around the world. Hera Hub is spreading across the U.S. including Phoenix and Washington, D.C.